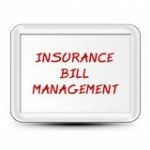 Insurance Bill Management Services Offered by BCL Systems - BCL Systems, Inc.
Can you afford to lose $11,000? If not, you need BCL Systems Insurance Bill Management Services. Failure to accurately reconcile your insurance bills results in lost premiums for an employee who appears on your monthly insurance bill, but is no longer eligible for coverage. This does not include the additional cost for claims paid under the plan either. With all the work on your plate, reviewing all the insurance bills you receive normally falls to the bottom of the list. BCL Systems, Inc. can help you ensure that you are only paying for those who should be on the plan. We can work with the carriers to make any corrections and ensure you are not paying more than you should be paying. In a recent audit, we discovered over $40,000 in errors in just one insurance bill. – Employer is provided with the amount to pay each carrier with reports outlining any discrepancies. – HR Consulting and Compliance Assistance – Your own HR Expert in your pocket!